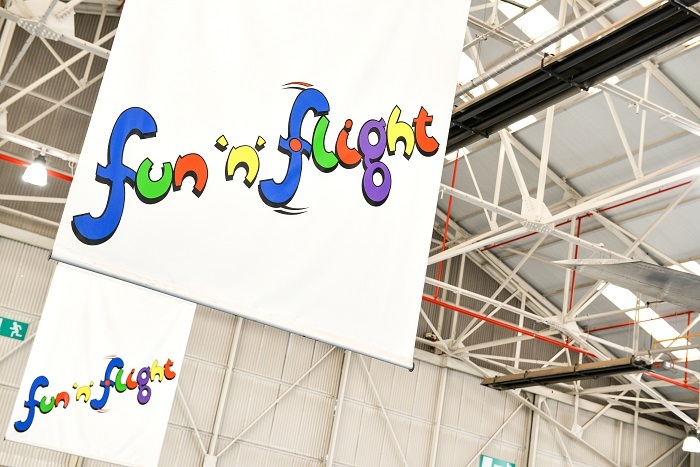 Children and adults alike will be fascinated by Fun 'n' Flight. Located in our Test Flight hangar, this hands on interactive gallery is packed with experiments designed to help visitors learn how aircraft fly. Test your ability to fly a plane or guide a Hercules to a drop zone, two of the popular interactive elements within the gallery. Learn about how different environments can affect flying by getting hands-on through our interactive displays! Learn about speed, drag, pressure and altitude and how they influence the marvel of flight. Test your skills and attempt to fly a Spitfire in windy conditions, or study our interactive touch screen Weather Station which gathers data from the top of the National Cold War Exhibition. 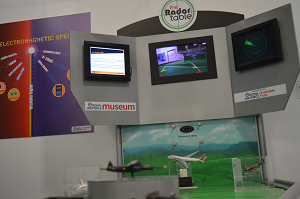 You can also discover how radar works at the Radar table, an important key tool for the Royal Air Force! Discover how jet engine's work with our automated Sapphire engine! The engine has been dissected and includes different coloured lights which illuminate the moving pieces to show how jet engines work. Our Test Flight hangar is packed with iconic jet aircraft! When you've finished, don't forget to hop into our dual seat Jet Provost! With working controls, you can learn even more about aircraft controls! The Fun 'n' Flight gallery is run by a team of dedicated volunteers. It is open from 10.00am to 4.00pm daily. Would you be interested in volunteering as an explainer within our Fun 'n' Flight exhibition? Please click here to explore our current volunteering opportunities.